Book today with only a £25 deposit to secure your appointment! The earlyAssure™ is a scan tailored for the early stages of pregnancy to determine viability, ectopic exclusion, identification of single or multiple foetus, growth measurement, dating of pregnancy and visualisation of heartbeat and movement. The earlyAssure™ scan is an early pregnancy scan specifically designed for expectant parents who are seeking reassurance prior to attending their first NHS scan, especially in cases of vaginal bleeding to confirm that the pregnancy is viable. This scan is also beneficial to those who are keen to establish the gestation age of their baby and to assist with the scheduling of their NHS Dual Screening Scan (Dating & NT), elements of which must be conducted prior to 14 weeks; and also for IVF pregnancies to provide development assessment and reassurance. During the scan your fully-qualified obstetric Sonographer will check your uterus and ovaries to exclude ectopic and seek to measure baby's crown-to-rump length (CRL - head to bottom) to verify gestation age, providing an initial estimated delivery date (EDD). We will also check the yolk sac which is baby’s source of food prior to the formation of the placenta, and seek to provide visual confirmation of heartbeat, movement together with confirmation of the number of babies you are carrying, all of which will be documented on an *earlyAssure™ Pregnancy Report. 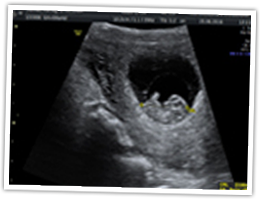 The use of abdominal ultrasound prior to 8 weeks' gestation can often fail to detect a fetal heartbeat, resulting in an inconclusive assessment of your pregnancy. Your scan will be conducted using an abdominal ultrasound probe (external on the abdomen), and it is important to recognise that imagery obtained is derived from the reflection of sound waves passing through your abdomen creating the visual image. 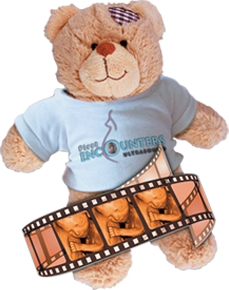 From 6 weeks gestation your baby is likely to measure approximately 5mm in length, as such the level of diagnostic evaluation and visibility achievable should you attend this type of scan as early as 6 weeks can differ greatly between clients, especially in cases of a high BMI which can result in poor image resolution possibly leading to an inconclusive evaluation. In recognition of this it is preferred to perform this scan from a minimum 8 weeks gestation as it is important to understand that between 6 & 7 weeks, not all elements of this assessment may be achievable, therefore we have indicted in the *Gestation Age Evaluation Criteria the level of diagnostic evaluation that should be achievable within the defined periods. If your pregnancy is less than 6 weeks we cannot guarantee achievement of any of the defined criteria. In the event we determine the scan to be inconclusive and it is considered a further internal trans-vaginal (TV) diagnostic assessment is required, a referral to your local early pregnancy unit (EPU) via your GP/Midwife, will be provided in accordance with our CQC approved procedures. It is recommended that you reach a gestation age of 8 weeks in order that a full detailed assessment can be conducted, however should you choose to come at an earlier gestation age, it is important to manage expectations as to the minimum we will determine and report on in accordance with the gestation age concluded at the time of scan. Referrals to EPU will only be provided when there is justified concern. Your predicted gestation age should be calculated from the first day of your last period. 1-5 weeks gestation – Nothing visible on an ultrasound scan. Your earlyAssure scan will last for approximately 5 minutes. As an ethical and regulated provider we comply with the British Medical Ultrasound Society (BMUS) guidelines, only scanning for as long as it necessitates to achieve the required diagnostic evaluation. 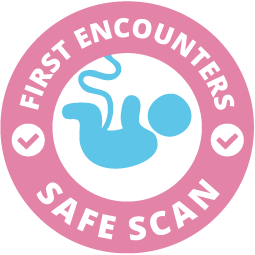 Whilst we appreciate longer scan times promoted by other scan companies may seem appealing, the safety and wellbeing of your baby is paramount and should not be compromised. In the unlikely event that we are unable to obtain any aspects of the diagnostic evaluation required to fulfil the requirements of the earlyAssure™ scan after we have confirmed the measured gestation age to be in excess of 8 weeks, you will be provided with a complimentary re-scan to be performed at a later date in order that we may conclude our evaluation. T&C's apply. A multiple pregnancy will require further scan time in order to conduct the detailed assessment of multiple foetus; as such we charge an additional £15 to account for the extended appointment time allocated. We have seating for up 6 guests and children are most welcome, however we would respectfully urge you to consider the diagnostic nature of this type of scan when inviting guests. The diagnostic evaluations obtained whilst conducting the earlyAssure™ scan provide valuable insight into baby’s development and wellbeing, designed to compliment but not replace your NHS Dating/NT (12-14wks). Whilst this scan has a specific purpose, gestation age criteria and defined reporting protocols, our qualified Sonographers have an ethical obligation to highlight, report and refer matters of concern which may be outside the scope/protocols of the performed scan. In some circumstances further NHS evaluation and screening may be required; however the gestation age criteria for such evaluations will be determined by your NHS Antenatal provider. Arrive with a full bladder as this will assist with magnification of scan imagery. Please do NOT empty bladder prior to scan. Remove any belly piercings in advance of your appointment. We will need to expose your abdomen during the scan, as such please consider wearing a two piece outfit in order that we may respect your dignity. earlyAssure™ Evaluation Report Detailing* What's this? *earlyAssure™ Diagnostic Report confirms: Crown to Rump Measurement, Visual Heartbeat Monitoring, Dating of Pregnancy, Exclusion of Ectopic Pregnancy & Yolk Sac Seen. 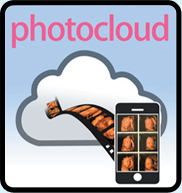 Instantly share your pregnancy scan images with family and friends. 1 month of unlimited access for just £5! Add your souvenirs at the Optional Gifts & Souvenirs stage of the online booking process, or tell your customer service representative which souvenir(s) you’re interested in when booking your scan by telephone. "Came here for a gender scan, service was excellent so I booked an ultimate scan"
"Wanted to find out gender before 20 week scan, excellent we will be coming back for a 4d scan"
"Very pleased, can’t believe how good they look"